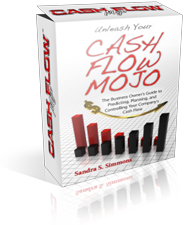 I received an excellent question for one of our Cash Flow Mojo software users about the most effective way to collect on receivables to speed up cash flow coming into his company. It’s a problem faced by virtually every business – how to deal with customers who pay their bills late, or not at all. While customers expect prompt and professional service, they don’t always meet the same standard when it comes paying their bills. Accounts not paid within terms can severely impact the cash flow of a business. A clearly defined and carefully communicated, yet diplomatic payment policy, may help avoid difficult collection situations. The first step is to clearly define when accounts are to be paid. If customers are not informed that accounts are to be paid on time, chances are they’ll pay late or sometimes not at all. Make sure that your business’ terms of payment are clearly stated in writing to each customer. If your business doesn’t have a systematic invoicing and billing system, get one. Many times the customer hasn’t paid simply because they haven’t been billed or reminded to pay in a timely manner. This situation frequently occurs in smaller or newer businesses where there isn’t enough staff to handle invoicing and billing. One of the most difficult collection problems is tracking down a customer who has “skipped”, or moved without informing your business of the new address. The U.S. Postal Service has a procedure to address this situation. Any statement or correspondence sent from a business should have the words “Address Service Requested” printed or stamped on the envelope, just below your business’ return address in the top left corner. If a statement or invoice is sent to a customer who has moved and the words “Address Service Requested” appear on your business’ envelope, the Post Office will research this information. If they can locate a change of address for that person, they will automatically send you business Form #3547 with the correct address for a small fee. This also keeps your business’s address file up to date. No Law says your business can contact a customer only once a month. The old adage “The squeaky wheel gets the grease” has a great deal of merit when it comes to collecting past due accounts. Contacting late payers every 5-10 days after they have received their first statement, with either a reminder letter or phone call, will enable your staff to diplomatically remind the customer of your business’ terms of payment. Many businesses (or well-meaning people on their staff) have let an account age beyond the point of ever being collected because he or she “felt” the customer would pay eventually. Facts are that accounts become uncollectable at a rate of 1% every two days, after reaching 90 days past-due. While there certainly are isolated cases of unusual situations, the truth is that if your business isn’t being paid, someone else probably is. So stick to your business’ systematic plan of following up. Soon it will be apparent who intends to really pay and who doesn’t. Appropriate action can and should be taken once you know where your business stands. Even “experienced” staff members can sometimes become jaded when dealing with past-due accounts. This usually occurs when the customer has made and broken promises for payment. Make sure the staff is firm, yet courteous when dealing with them. Your business’ collection staff may benefit from customer service training because, in effect, they must “sell” your customer on the idea that your business expects to be paid. Make sure that your business’s collection staff is trained to not only bring the account current, but to also maintain good will. Sometimes customers don’t pay because they think your business has made a billing error, and if that’s the case, quickly admit it and correct it. Generally, customers realize that mistakes can happen in business. Unfortunately, some customers believe that “the owner/president/doctor doesn’t need the money.” Denying an obvious error only feeds the fire of resentment your customer may already feel. In many states, businesses are governed by the same collection laws as are collection agencies. For example: Calling to collect on an account at an odd hour or disclosing to a third party that a person owes your business money are just a couple of the collection practices that can cause serious repercussions . Contact your state’s department of finance for any clarification on the collection laws. If your business has systematically pursued a past due account for 90 days, and it still isn’t paid, the customer is sending a message. Your time and financial resources budgeted for internal collection efforts should be focused within the first 90 days when the bulk of accounts can and should be collected. With a statement sent at 30 days, you should start contacting delinquent accounts every 5-7 days, with a mix of reminder letters and phone calls. You will motivate “lazy” customers to pay with a repetitive barrage of reminders. After 90 days, a third party, particularly a collection agency, will motivate a customer to pay in ways your business cannot, simply because the demand for payment is coming from someone other than your business. Avoid paying a percentage to a contingency collection agency, using small claims court or hiring an attorney by utilizing flat-fee services. Even with a carefully designed and administered collection plan, there are a few accounts that will never be collected. Save your business time and money by identifying these accounts early. At the same time, your business will benefit from improved cash flow from the vast majority of accounts that do pay. Developing and implementing a sound collections policy is a vital part of running a successful business. Follow these 10 steps, and watch your business thrive while retaining a good professional relationship with your customers.